Directors and Officers Liability Insurance Oregon. Directors and officers liability insurance provides a number of key protections to board members and directors that aren't provided by other personal or commercial insurance plans. Like all other forms of executive liability protection, these policies can be vital for avoiding the high costs of both frivolous and legitimate claims. Following is everything you need to know about these plans, including what they will cover and what they will not. You'll also find helpful information concerning some of the lesser-known but incredibly important provisions that this coverage provides. 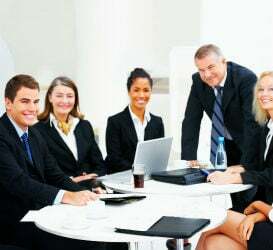 A directors and officers liability Oregon can help you attract and maintain qualified executives and board members. Directors and Officers Liability insurance Oregon protects your executives from lawsuits with rates as low as $37/mo. Get a fast quote and your certificate of insurance now. This directors and officers liability insurance Oregon, often referred to as D&O insurance, this coverage protects officers and directors against legal claims that are made against them while serving as officers or on the board of directors. This type of coverage can be bound for professionals serving in this capacity for privately held firms, non-profit organizations and educational institutions. It is not unlike the malpractice insurance that lawyers, dentists and doctors maintain or the errors and omissions insurance that licensed professionals use as part of their comprehensive commercial insurance plans. This is most true in the sense that D&O insurance will cover damages and legal expenses that are the result of managerial actions or decisions resulting in financial loss. Directors and officers are held legally and financially responsible for the decisions that they make on behalf of or affecting shareholders, client companies, creditors and investors. Claims of this nature are being seen in businesses with increasing frequency. Unfortunately, those who serve as officers and directors can be held personally liable for the resulting damages if this coverage isn't in place. 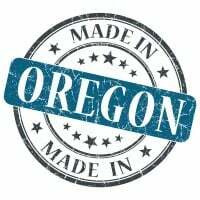 It is also important to note that both non-profit and for-profit companies will need to bind this directors and officers liability insurance Oregon to protect directors and officers if they hope to attract qualified board members and executives and retain the services of these individuals. It is a common and costly myth that board members are covered by their home insurance policies. While their may exist certain protections for these individuals within their homeowners' insurance plan, these provisions are not guaranteed to cover all costs, nor are they guaranteed to be relevant all of the time. In short, people should not count on these policies to cover them for any association board service, even if they happen to be compensated for filling these rolls. The protections that do exist under certain OR homeowners insurance plans are rarely going to prove sufficient for cover all legal expenses and other costs from the average liability case. There are many prospective board members who will be unwilling to accept their appointed positions if they lack protections under a company's indemnification specifications. There are others still, who insist on having a more extensive measure of protection through supplementary directors and officers liability insurance Oregon or standalone D&O. Request a free Directors and Officers Liability Insurance Oregon quote in Albany, Ashland, Astoria, Aumsville, Baker, Bandon, Beaverton, Bend, Boardman, Brookings, Burns, Canby, Carlton, Central Point, Coos Bay, Coquille, Cornelius, Corvallis, Cottage Grove, Creswell, Dallas, Damascus, Dayton, Dundee, Eagle Point, Estacada, Eugene, Fairview, Florence, Forest Grove, Gervais, Gladstone, Gold Beach, Grants Pass, Gresham, Happy Valley, Harrisburg, Hermiston, Hillsboro, Hood River, Hubbard, Independence, Jacksonville, Jefferson, Junction, Keizer, King, Klamath Falls, La Grande, Lafayette, Lake Oswego, Lakeview town, Lebanon, Lincoln, Madras, McMinnville, Medford, Milton-Freewater, Milwaukie, Molalla, Monmouth, Mount Angel, Myrtle Creek, Myrtle Point, Newberg, Newport, North Bend, Nyssa, Oakridge, Ontario, Oregon, Pendleton, Philomath, Phoenix, Portland, Prineville, Redmond, Reedsport, Rogue River, Roseburg, Salem, Sandy, Scappoose, Seaside, Shady Cove, Sheridan, Sherwood, Silverton, Sisters, Springfield, St. Helens, Stanfield, Stayton, Sublimity, Sutherlin, Sweet Home, Talent, The Dalles, Tigard, Tillamook, Toledo, Troutdale, Tualatin, Umatilla, Union, Veneta, Vernonia, Waldport, Warrenton, West Linn, Willamina, Wilsonville, Winston, Wood Village, Woodburn and all other cities in OR - The Beaver State.